Before we step further, I want to tell Why It’s Good Option to Imports Furniture from Indonesia Manufacturers The Indonesia furniture industry has always thrived despite overwhelming competition from countries such as China, Vietnam and Malaysia. When competition focuses on providing high volume at the cheap cost, Indonesia furniture retains high quality and durability as the ultimate values. Moreover, Indonesia Furniture indicates good growth in quartal 2018 (Indonesia-investment). It means that furniture products from Indonesia still acceptable in the foreign market. The abundance of natural resources wood, bamboo, rattan will make you as importer easy to make an order in Indonesia and sustainable business in the furniture Industry. Indonesia Furniture still be a great option for imports furniture products. 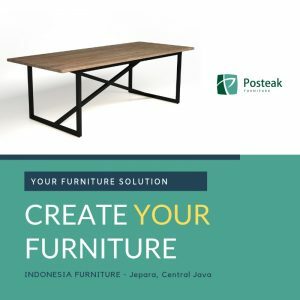 Almost popular and good Indonesia Furniture Manufacturer located in Central Java, which makes tree/timber availability a less daunting process. However, not all furniture imported from the country will depict desirable properties. It is still very important to review and compare various aspects before spending your money. Here is a brief guide on how to find the best Indonesia furniture for your needs. So far Jepara is a very popular and qualified city that has been known for the furniture industry. A lot of Manufacturers producing high-quality furniture. You even can find any furniture in this city. The local craftsmen did a great job in crafting any furniture and handicrafts. I’m really sure that you don’t want bad quality for the furniture, right? So..it’s so important that you should very carefully to choose the best materials, especially when comes to import. Be aware to the materials can make you easier to ensure that the products will not be broken after shipping. It’s crucial due to long-journey it will send, and sometimes for wood materials can crack or bent after shipped overseas. Indonesia Furniture popular with its wood furniture products. Moreover wood has unique characteristics. So, I want to focus in this point. It will a great option if the materials come from solid wood/hardwood. Oak, Akasia, Mahogany and Teak can all make great furniture when expert craftsmen and reliable manufacturers are involved. However, teak is known to offer the best value when it comes to furniture. This is because teak has unique properties, natural oil and silica that make it resistant to termites and decay. It is also more durable. And it’s very great materials for outdoor furniture. (Read more about the characteristics of teak wood) Most furniture imported from Indonesia is made from teak. Some are also made using mahogany and other types of timber. 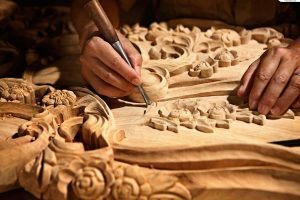 It is advisable to find the best materials when looking to import high-quality furniture from Indonesia and timber is only one of the things to consider. Depending on the furniture you are buying, you may have to look into other materials including the quality of padding/ cushion and upholstery. Important elements to review include material durability, safety, ease of cleaning and maintenance required to keep it looking elegant. Whether you are looking for handmade antique, industrial style, French style, Sleigh, Rococo or reclaimed furniture, they come in varied designs. There are several furniture products ranging from chairs and tables to swing sets, beds, buffets, cabinets, benches, steamers, recliners, loungers, deep seating and garden furniture among others. The products are often divided into two main categories; indoor and outdoor furniture. When looking for a particular furniture product, it is recommendable to browse through existing designs and styles to find the perfect one for your unique needs. Also, don’t forget to look into the usability and comfortability of the products. Some manufacturers have the capacity to provide custom designs and allow customers to send their customized ideas, templates and additions. You can also determine specific colors, elements and embellishments you want included in the final product. However, this usually costs extra for the added value. Although manufacturer reputation, experience and capabilities may help you land reliable offers, it is still important to find your quality guarantees. This is the ultimate commitment to providing high-quality products and legal tie to replace or refund any export that does not meet agreed standards. Most dependable manufacturers will provide quality guarantees or even warranty for their products. The first thing to do after your furniture has been delivered is to inspect each area and make sure there are no unacceptable faults. Test the cushion, inspect drawers, check the springs and legs and any other area you susceptible to damages. Also, make sure you only receive what you ordered. You can always look through the return policy and liabilities. 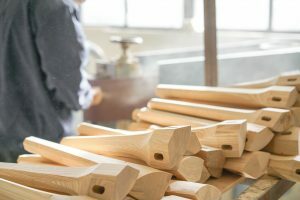 It is also an important part that you as the buyer should consider, You want your business to run properly, especially if you just started the contract with the manufacturer. Our experience, most of the buyers will check the products to make everything is good before imported. And it also good for long-term relationship business and even family relationship 🙂 Summary, Indonesia furniture products are definitely some of the best in the world and depict top quality. However, you still need to import from a reliable manufacturer and choose the best materials and designs for your lifestyle or needs. Make sure the manufacturer complies with the legal requirements and receive wood from licensed timber companies. This way, you can be sure of importing products depicting the value you anticipate. Besides choosing the best Indonesia furniture manufacturer, ensure you follow all the rules and regulations involved in furniture importation. This entry was posted in Blog and tagged #furniture, #indonesiafurniture #manufacturer #indonesiafurnituremanufacturer, #jeparafurniture.